People use a variety of cosmetics on their skin every day. Some of the chemicals found in these products are harmful and cause a wide range of health problems. The Food and Drug Administration does not test cosmetics, but cosmetic companies are required to list all the ingredients in their products. As a consumer, you should read all cosmetic labels and be aware of what chemicals may be hazardous to your health. Several phthalates exist, and they are not easy to spot on cosmetic labels. Sometimes they are referred to as diethyl phthalate, or DEP, or as dinbutyl phthalate, or DBP. Phthalates appear in nail polishes, perfumes, hair products and deodorants. They are suspected to cause reproductive issues in both men and women. Phthalates may also damage the kidneys, lungs and liver. Found in lipsticks, sunscreens and toiletries, propylene glycol keeps cosmetics from drying out. Propylene glycol is listed on cosmetic labels as polyethylene glycol, or PEG, and as polypropylene glycol, or PPG. This ingredient is known to cause skin and eye irritation. When the body absorbs high doses of propylene glycol, it can lead to heart, kidney and liver damage. Face powders, blushes and body powders all contain talc. Also known as talcum powder, this ingredient may be laced with asbestos, which is a well-known carcinogen. Talc may cause chronic or acute lung disorders and may contribute to ovarian cancer. You should avoid using body powders that contain talc, especially in the genital area. Formaldehyde sometimes appears on cosmetic labels as DMDM hydantoin, diazolidinyl urea, imidazolidinyl urea, sodium hydroxymethylglycinate or quaternium-15. 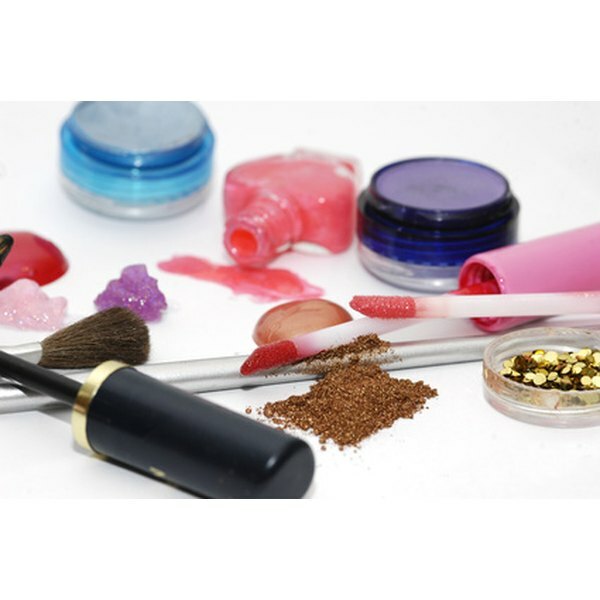 Formaldehyde may be used as a preservative in a variety of cosmetics, including eye shadows, mascaras, nail polishes, soaps, creams and shampoos. Formaldehyde is a known carcinogen and may cause breathing difficulties, especially for those with asthma. When it occurs in creams or soaps, formaldehyde is absorbed into the skin and may trigger headaches and allergic reactions. Small levels of parabens are not considered dangerous, but so many cosmetics contain parabens that you could easily have a high exposure rate to this ingredient. Parabens are listed under the names propylparaben, methylparaben, butylparaben or ethylparaben on cosmetic labels. They are used as a preservative and appear in products such as shampoos, deodorants, shaving creams and makeup. Parabens have been linked to fertility issues and may increase your chance of developing breast cancer.